The award is given to authors who have made truly outstanding contributions to the scientific literature because of their exceptional competence in publishing and writing. 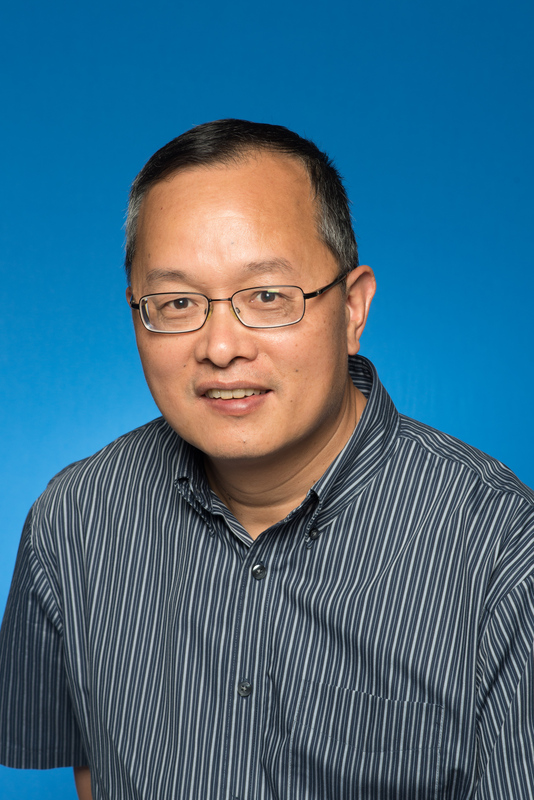 Weng will be honored at the AAG's Council and Donors' Reception on April 5 in Washington, D.C.
A fellow of the Institute of Electrical and Electronics Engineers, Weng has pioneered urban remote sensing research and is instrumental in shaping it as a field. Through a series of creative and cutting-edge works, Weng invents new algorithms and techniques and has discovered new methods and theories for urban remote sensing. "Dr. Qihao Weng's outstanding record of publications encapsulates the award's intent to honor our authors," said Irma Shagla Britton, senior editor with the Taylor and Francis Group. "Dr. Weng is dedicated to developing these series with important contributions from leaders in related disciplines and from the prominent young authors and scientists he's mentored as an accomplished teacher." A faculty member since 2001, Weng joined Indiana State after working briefly at the University of Alabama and obtaining his Ph.D. at the University of Georgia. He currently serves as a professor in the department of earth and environmental systems and has served as director of Indiana State Center for Urban and Environmental Change since 2004. He worked as a senior fellow at the NASA Marshall Space Flight Center, December 2008-2009. "I am honored to receive this award," Weng said. "Writing quality books has become extremely challenging at the age of Internet. This is especially true at ISU since faculty frequently have heavy teaching load; therefore, collaboration is key to any sort of scholarship at ISU. Many of my graduate students are the contributors of my books. In traditional Chinese culture, teachers treat students as disciples. With good mentorship and cultivation, graduate students would become successful and effective collaborators for a long period. I thank all current and former graduate students for their excellent contributions to my books." Weng has made significant and pioneering contributions in the field of geography, and his extensive publication record includes books, book chapters and articles in prestigious Taylor and Francis journals. He serves as the editor of two important book series, "Taylor and Francis Series in Remote Sensing Applications" and "Taylor and Francis Series in Imaging Science." "It was a great honor to be invited to edit the two book series published by Taylor & Francis Group," Weng said. "The ‘Series in Remote Sensing Applications' has published 19 books since 2007, while the ‘Series in Imaging Science,' initiated in 2017, has so far published two books. These book series bring together a large pool of experts to write or edit textbooks and reference books in the field of remote sensing and imaging science. It is my hope that these books will disseminate correct and useful information, knowledge, scientific methods and techniques to peers, readers, and especially to students, because students hold greater potentials for tomorrow's science, technology, innovation and invention." Weng's pioneering works have generated enormous citations and attracted thousands of followers worldwide. He is the author of 228 articles and 13 books and has given 110 invited talks and presented 130 papers at professional conferences. According to Google Scholar, as of January 2019, his SCI citation has surpassed 15,000, with H-index of 56. Many of his publications were extremely influential, which is visible, for example, from the fact that 36 of them have more than 100 citations each. In 2008, Weng received a prestigious NASA senior fellowship. He received the Outstanding Contributions Award in Remote Sensing in 2011 from the American Association of Geographers in 2011, as well as the Willard and Ruby S. Miller Award in 2015. In 2005 at Indiana State, he was selected as a Lilly Foundation Faculty Fellow, and the following year, he received the Theodore Dreiser Distinguished Research Award. In addition, he was the recipient of 2010 Erdas Award for Best Scientific Paper in Remote Sensing (first place) and 1999 Robert E. Altenhofen Memorial Scholarship Award, which were both awarded by American Society for Photogrammetry and Remote Sensing. He was also awarded the Best Student-Authored Paper Award by International Geographic Information Foundation in 1998. Weng will be honored at the AAG's Council and Donors' Reception on April 5 in Washington, D.C.